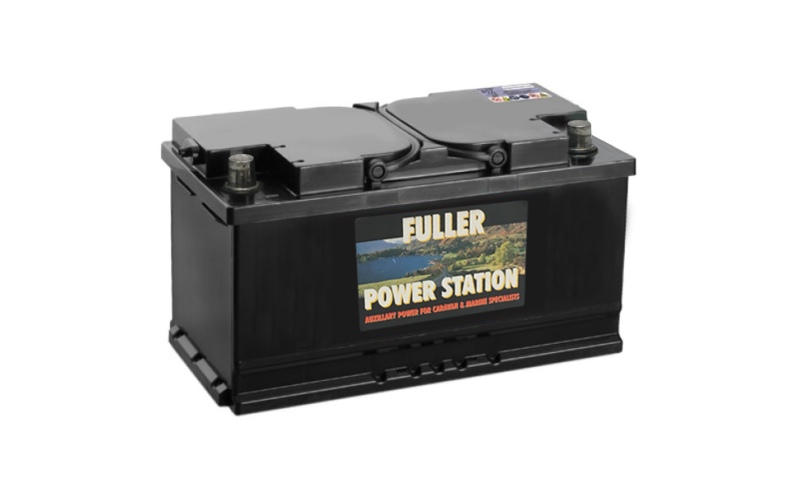 For the heaviest duty applications you can't go far wrong with a Fuller AGM Leisure and Marine Battery 12V 115AH Sealed. 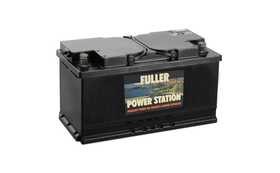 Fuller AGM Leisure Battery 12V 115AH Sealed is a maintenance free battery, perfect for the user that requires a battery to cover operation of their habitation equipment for short periods away from an electrical hook-up; it's ideal for caravans, motorhomes and boats and great for motor mover use. These batteries will also charge faster. Its sealed and leak-proof. Very knowledgeable and professional staff. Battery is of highest quality with great case build and cycles compared to other batteries in market. Both caravans and motorhomes use leisure batteries. Batteries made to start a vehicle are designed differently than ones that solely run caravanning appliances. Leisure batteries aren’t always supplied with new caravans, but most new motorhomes should come with one. Batteries are made specifically for one job. A standard car battery can’t deal with repetitive heavy discharge and recharge cycles, whereas a leisure battery can. However, bear in mind that a standard lead-acid leisure battery won’t act accordingly as a starter battery, either. Standard wet starter and leisure batteries mostly have a polypropylene container, made with compartments. Each compartment creates 2.12V, a total of about 12.7V for a fully-charged battery. Every compartment comes with a series of positive and negative lead plates, which usually have a grid construction. This way, the lead-oxide paste can be pressed into all of the apertures. Leisure batteries have thicker plates than the ones used in starter batteries. Every plate is usually placed in a plastic envelope called a separator. These envelopes contain glass fibre sheets, pressed against the lead-oxide paste held in each plate. During excessive re-charging, the paste becomes loosened and then completely detached from the lead grid, and so the envelope fights back against the tendency. The compartments fitted in the casing of lead-acid batteries are filled with diluted sulphuric acid, often referred to as the electrolyte. This casing also has a gas outlet, which helps to release any hydrogen created during re-charging (this must not become detached). A bigger amount of lead in a leisure battery and its separators is reflected by its increased weight and higher price. Getting the absolute best out of your leisure battery doesn’t necessarily have to be hard. Here are a few simple steps you can follow to care for your battery and get a great life from it. Smear a thin film of jelly (like Vaseline) to the battery’s terminals. Use battery clamps (make sure they are of a quality standard) or spring-loaded clamping clips and be sure that their steel surfaces don’t begin to rust. Often check that the battery’s gas relief tube is coupled-up correctly. On an unsealed battery, check every now and then that the electrolyte covers the lead plates. Ensure that there are no lit cigarettes or naked flames nearby before looking at the cells. In order to stay safe, be sure to wear safety goggles. If unused for a long while, your caravan/motorhome’s leisure battery must be kept charged. Use a trickle charger to maintain the state of charge. When its capacity falls below 50%, it is advised that a battery is re-charged. Also, never run a leisure battery until its almost flat. Some people tend to remove a battery and move it to a bench where it can stay maintained. But remember that this will disable any electrical-powered security alarms. EXTRA: It is not a good idea to leave a battery completely flat for too long. If recharging is delayed indefinitely, sulphation may occur (white deposit starts to form on the battery’s plates). You cannot fix this either, and renders the battery pretty much useless. The main function of a leisure battery is to run 12V appliances, but it also does something else important. Seeing as a leisure battery is always linked directly to a caravan or motorhome’s built-in charger, it is able to iron out any problems in the received supply. A caravan’s 12V accessories should never be run from a charger (without a battery installed). When trying to inspect the battery cells, make sure to always wear safety clothing (eye protection, gloves). Battery acid also damages clothing. When connecting up a battery, sparks may sometimes occur. To avoid this, make sure that you are using clamps of good quality. The temporary crocodile clips that are supplied with battery chargers aren’t suitable for connections you deem permanent. Also, remember that a spark can cause ignition of releasing gas or residual gas left in a cell. If a 12V battery’s terminals or their couple cables are shorted-out, they can cause a fire.